On January first my year list, just like every other birder’s year list, reverted to zero. 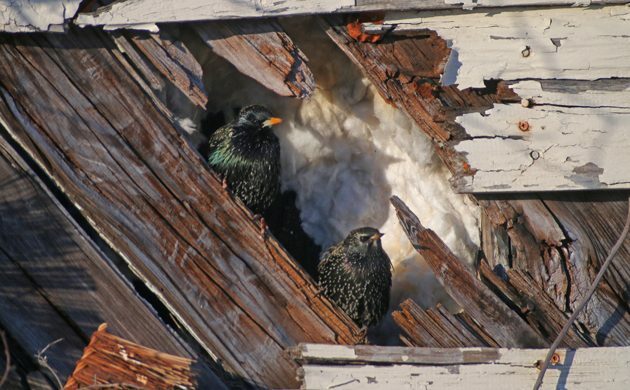 Every single species, even the European Starlings above, count as one bird on the year’s checklist. Sure, 2017 was a wonderful year, but out with the old, what have you done for me lately, and all that jazz. So before the hangover kicked into overdrive I was out the door, leaving an apartment full of sleeping revelers, seeking out some good birds for my year list. 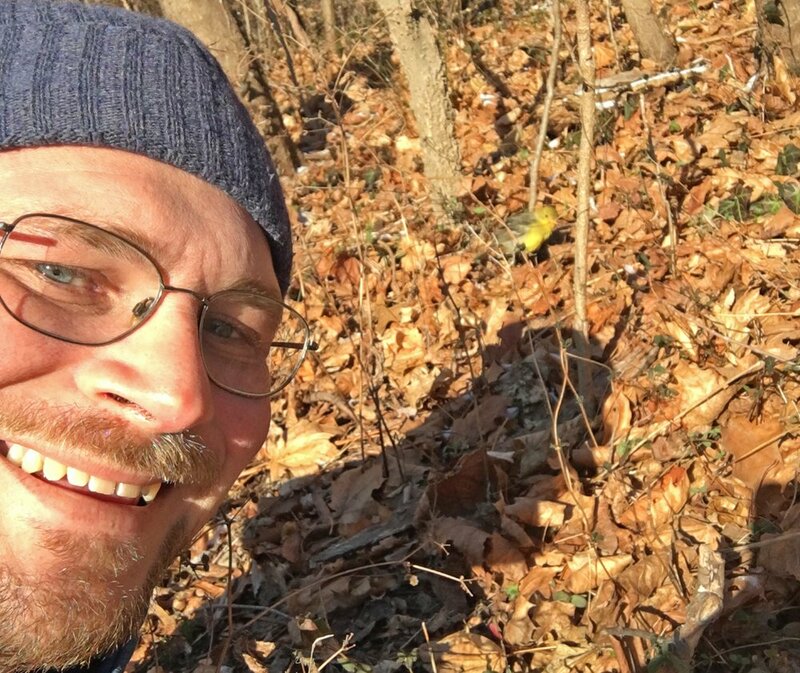 My main goal for the morning of 1 January was the Western Tanager that had made it onto the Queens County Christmas Bird Count and, against all odds, had survived into the new year. Or, at least, I was hoping it had. First I had to go look for it. After a quick run to the coast where I picked up a bunch of new year birds (and saw a Feral Pigeon on my way for my first bird of the year) I headed to Crocheron Park where the tanager, I presumed, was the sole survivor of the original winter rarity trio of Yellow-breasted Chat, Wilson’s Warbler, Western Tanager. 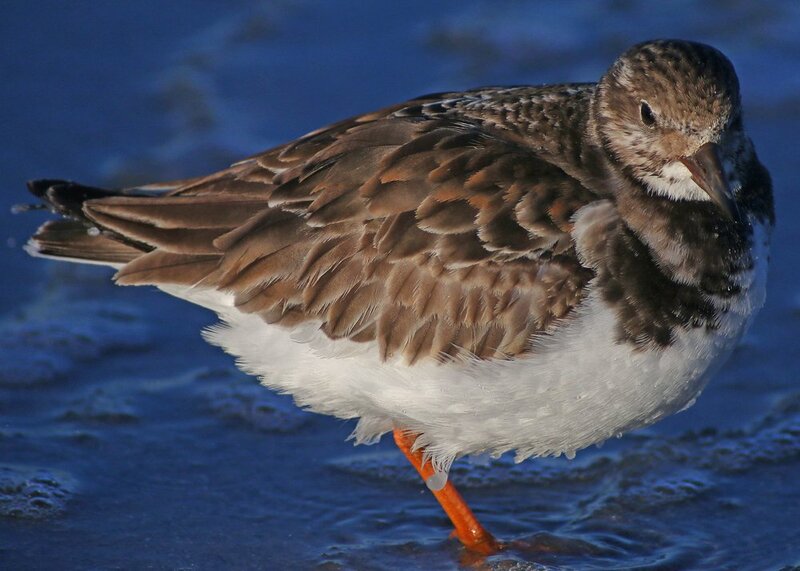 This icy Ruddy Turnstone was a pleasant surprise on Rockaway Beach. Where was it during the christmas count? At Crocheron Park I was met by White-throated Sparrows, Mourning Doves, a Yellow-bellied Sapsucker, and, wait, what’s that flash of yellow? Yes! Western Tanager! It flew from branch to branch, frantically foraging for fuel for the freezing air was unforgiving. Then, amazingly, it flopped down in the leaf litter right in front of me where it alternated sunbathing and flipping leaves. This is the view of a Western Tanager you want to start the year with! 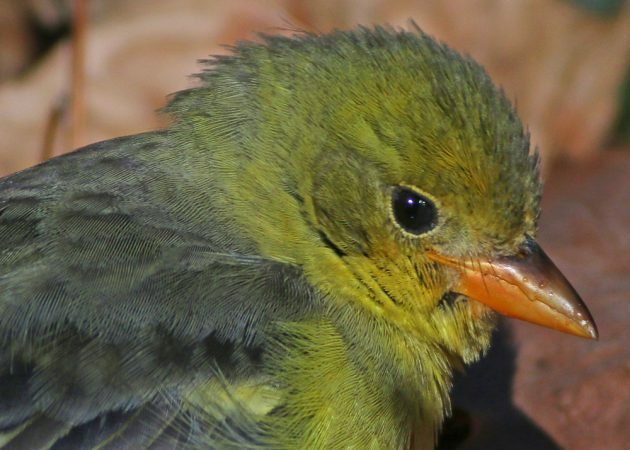 How ridiculous was the tanager encounter? Well, how about selfie-level ridiculous? Once I finished my time with the tanager it was time to head home after a quick stop for bagels to feed the ravenous hordes. 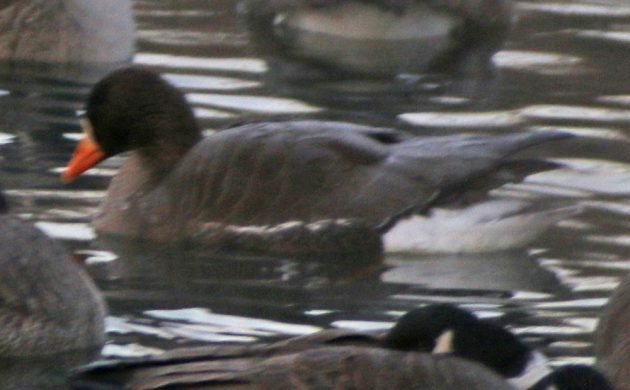 But once I got home with the bagels and warmed up with some coffee, a report of a Ross’s Goose at Baisley Pond Park hit the listservs. 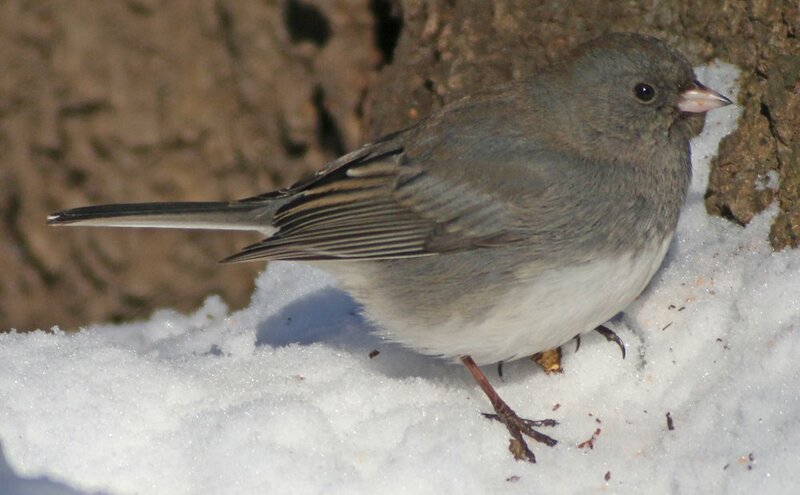 This is almost as good a bird in Queens as a Western Tanager: before this bird I had only ever seen two. Sadly, though I managed to sneak out of the house while friends and family entertained each other, the goose had flown the coop. Even a later visit with Desi in tow (to give mom a break) was fruitless, though I did increase my year list with the hordes of wintering ducks wintering on the pond. Redheads, even the drab females, are always a fun bird to watch. 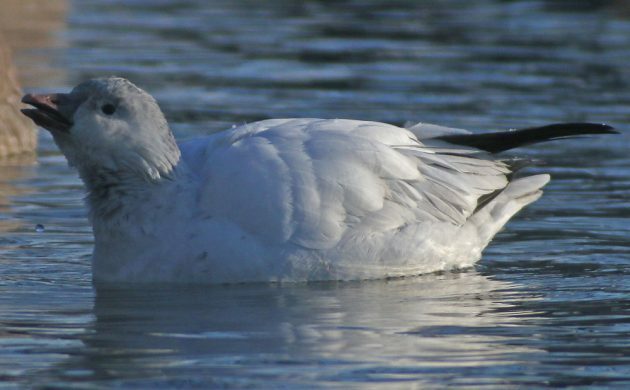 Then came the work week, a slog through horrible cold and a big snowstorm, though I was encouraged by a single report of the Ross’s Goose being refound on 2 January. This past Saturday, 6 January, I was out and looking for birds again, with a return visit to Baisley Pond Park that was a success this time! 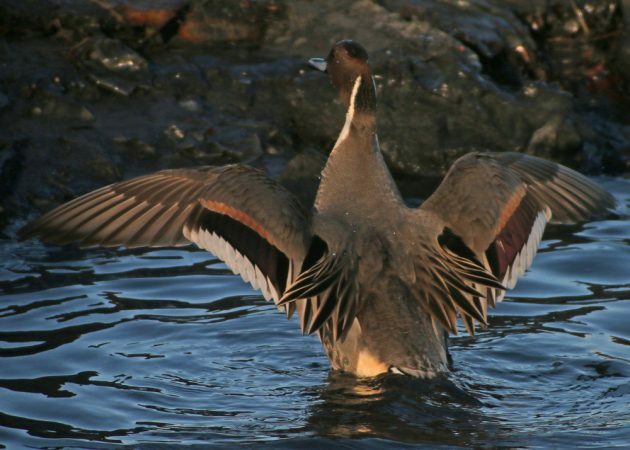 The Ross’s Goose showed well and I spent some time with it, enjoying this rare visitor to Queens. Ross’s Goose getting a drink of Baisley Pond. From Baisley I headed up to the north shore of Queens where I hoped to find some more wintering ducks to keep building my year list. 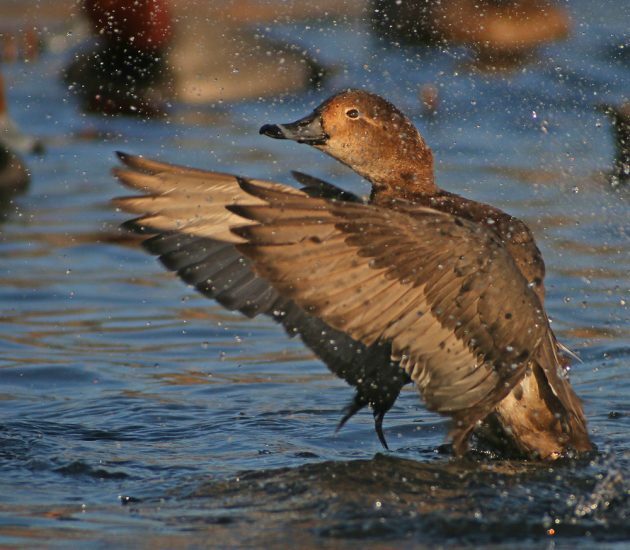 The Canvasback and Northern Pintail I had hoped for were both present and the temperatures had dropped enough that most of Flushing Bay was frozen, leaving the ducks in a small run of open water by the World’s Fair Marina. What could I do but enjoy the close ducks and try not to freeze? 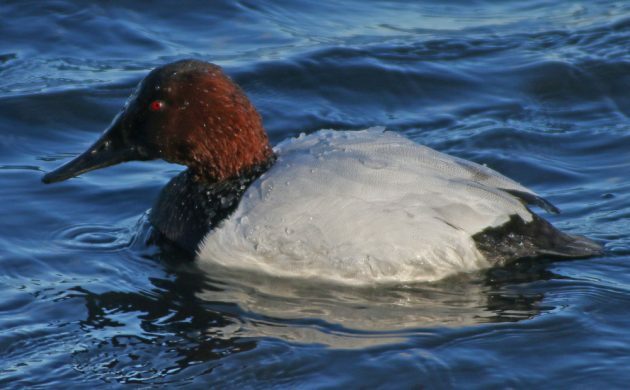 The ducks had a harder time not freezing as the chunks of ice on this Canvasback‘s back attest. There are ducks that are nicer than a Northern Pintail but not many. My year list had grown nicely and I headed home where, late in the day, another email set my plan for me for Sunday morning: a Greater White-fronted Goose had been found on the little pond in the middle of the interchange where the Long Island Expressway, the Cross Island Parkway, and the Douglaston Parkway come together. It was found at the end of the day and looked like it would spend the night! First thing in the morning before full light, I was at the pond and, sure enough, the goose was still there! Not only that but a huge flock of Common Grackles streamed overhead, giving me a second year bird in a matter of minutes. I love the beginning of the year when everything is new. The looks (and photos) weren’t as good as my first Greater White-fronted Goose in Queens but a year tick is a year tick. A run out to the coast was not very successful and I ended my morning’s birding at the feeders in Forest Park where I saw my first Hairy Woodpecker of the year and generally enjoyed close looks at basic birds. 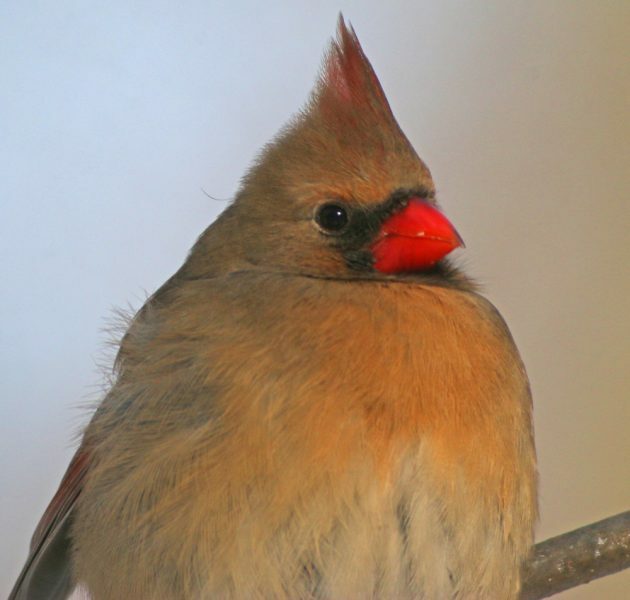 Female Northern Cardinals are very nice. I’d like to believe that I’ll pay attention to Dark-eyed Juncos again in 2018 but I probably won’t. I ended the weekend with seventy-one birds on my year list, a year list that I really have to get to putting on the blog. How’s your January’s listing going so far? I was born in Brooklyn, raised in Jamaica, Queens and as a kid (late 50s/early 60s) skated on Baisley Pond in the winter. Not yet quite involved with the local avifauna. I have think those Mourning Doves were freezing their fluffy little backsides off! I managed to get up to 116 by day 7, with at least one new bird every day of the week but Thursday. Great start, and some fantastic images!